JASPER -- Two more Hoosier priests are being accused of sexual abuse. This, as the bishop of the Evansville Diocese held a prayer service in Jasper Tuesday night for healing and reparation. 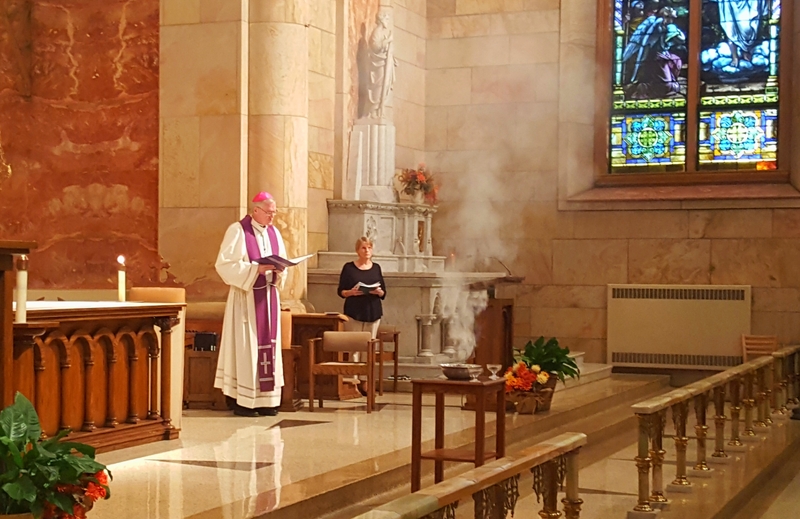 Bishop Joseph Siegel led that mass at St. Joseph Catholic Church. It’s the third in a series of 4 such services the bishop is holding across the state in light of new accusations of child molestation by priests. "It's an opportunity for the bishop to get out to the people in each Deanery," says Tim Lilley, a spokesman for the Evansville Diocese, which includes Dubois and surrounding counties. "A message of sorrow for the acts that have brought us to this point by members of clergy and ministers of the church." The Evansville Diocese announced last month it would compile a list of priests accused of sexual abuse. Church officials say that list will be released to the public. "People will know whether any action remains pending," explained Lilley. "I don't believe there will be anyone on the list against whom an allegation remains pending. You would wait until the investigation is complete. This is a look back. This is a review." Despite the church’s claims of transparency, the media was not allowed to stay for the bishop’s remarks. We were allowed in for 10 minutes to get shots and video and then all of the media was escorted out of the church by Tim Lilley. He said it’s been the same for the other prayer services as well but he never gave us an explanation as to why reporters couldn’t stay. The last payer service will be held Wednesday night in Washington. Last month we told you father Dave Fleck was placed on leave as an investigation into abuse claims continues. The diocese would not comment on the investigation saying it’s ongoing.